Platinum is one of the most sought after metals. It is mostly used in jewelry, but is also used in making instruments and equipment used in high heat and pressure environments. The white metal is sometimes mistaken for silver. Prices for platinum are on an upward trend as the metal becomes harder to find in natural ores. Platinum is used in catalytic converters as it can withstand the high temperature of exhaust gases. You can get platinum worth as much as $200 depending on the make of the car. This is relatively unknown by many people so you can still get old converters for as little as $20. Some junk yards will allow you to take away as many as you can rescue for a flat fee. Lab equipment used in heating processes will contain platinum. These items can be found in yard sales going for very affordable prices. Thermocouple wire: This is a familiar item for plumbers and people who need to heat stuff in industry. The silver-like section of thermocouple wire is platinum. Platinum jewelry may not have many buyers as gold or silver jewelry, so you will have to look around wider. Searching for ‘platinum prices per gram’ will give you the day’s prices. Selling face to face is a better bet as you can negotiate for good prices. Face to face trade is also quicker and more private. Yu will also get to see how the evaluation is done so that you can be sure that what you are being told is the real deal. Many buyers will take your platinum at its weight. However, if you are selling a jewelry piece that has some history, you could negotiate for better pricing. Vintage jewelry can sell at a premium. 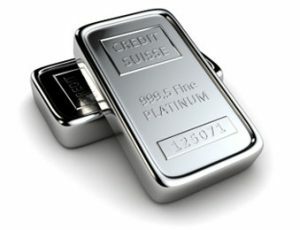 You can also opt for prices to get better as platinum prices are continually rising. It is an investment that you can cash in on rainy days.